Pablo Picasso, Arlequin au miroir (Harlequin with a mirror), 1923. The assembled collection offers a new look at Picasso’s creativity with special attention given to his critical reception. It explores the exhibitions, articles and publications that accompanied each artwork and helped forge their reputation as masterpieces over the years. 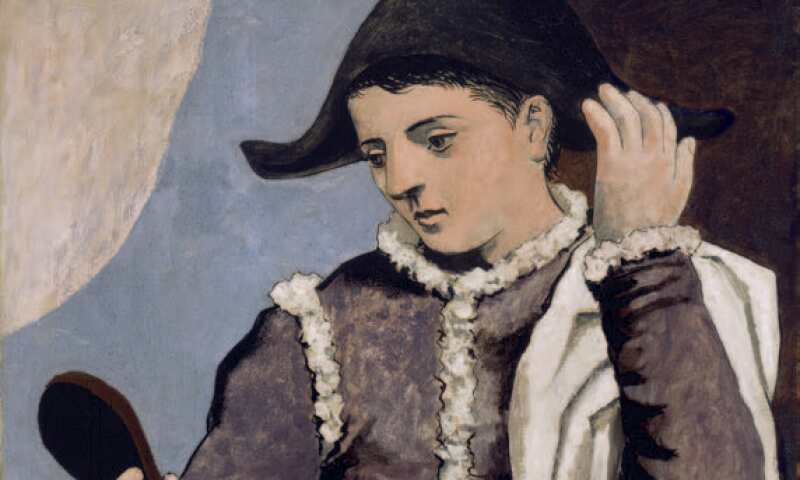 The Musée National Picasso-Paris archives play an essential part in telling this story.